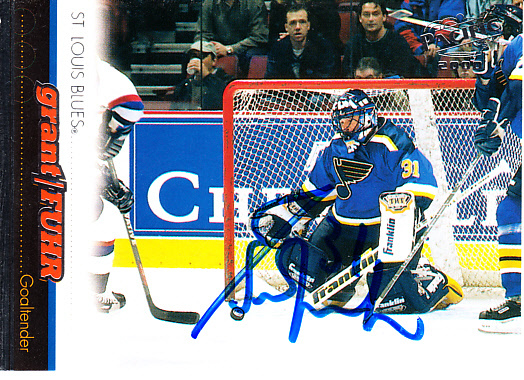 1999-2000 Pacific St. Louis Blues hockey card autographed in blue marker by Hall of Fame goaltender Grant Fuhr. 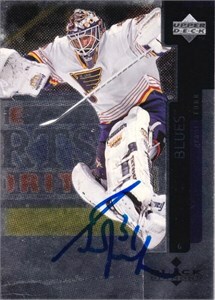 ONLY ONE OF THIS CARD AVAILABLE FOR SALE. Obtained in person at celebrity golf tournament. With certificate of authenticity from AutographsForSale.com.